But a tribe is too big a family for each member to know the other members. Affinity to the tribe could not be an affinity to each and every tribesman. There was a need for a symbol, a system of symbols, with which a tribesman would identify. In modern-day settled tribes Â­ which are called nation-states Â­ flags, passports, coins, as well as schoolbooks of history and geography, perform that function. In the desert, poems did the job. "I wanted (my students) to know that writing is alive and that it's something that can be a part of them. ... I think a lot of them just took the class because it satisfied a writing intensive credit, and I'm not sure how many of them will go on to be writers, but at least they know now that it's a possibility, eh?" ". . . .Other elements are pictures that please or thrill for themselves, phrases that ring for their music or carry some buried suggestion." So, in Lowell's opinion, meaning is never everything, sometimes not even very important. I suppose that in something like Pope's Essay on Man or in Milton's Paradise Lost meaning is rather an important part of the poem. This wasn't a story about two poets, or more precisely, it was only incidentally a story about two poets. It was a love story between two giants. Hughes and Plath had done something that most of us only dream of: they had met their soulmate, and married them. But it was a marriage that only one of them could survive. from Guardian Unlimited: Who's afraid of Sylvia Plath? ". . . .When they are not too busy fighting each other, artists can create teams with such dynamism that they could bring about change. From this point of view, I think Dimoula's work is very important and that she is the greatest female Greek poet of contemporary Greece. "Reading her work gave me ideas on how music and poetry could coexist without one taking over the other, and I hope I succeeded in doing that. My aim was not to set the poems to music; what I did set to music was just some bits of the poems which I considered to be the points of culmination...."
In the early sixties, he began teaching at Columbia, and one of his first students was Louise GlÃ¼ck. â€œKunitzâ€™s voice would comment on the weak line, the dull word, the specific opacity,â€? GlÃ¼ck has written in an essay. More important, years after she stopped being his student, during a period when she was writing profusely and uselessly, he invited her over for a Martini. He told her that her new work was awful. He also told her that it didnâ€™t matter, because she was a poet. The Concretists arrived on the international literary scene as Brazil, imbued with the modernism that also resulted in the completion of the planned capital BrasÃ­lia in 1960, flirted with different artistic forms. With his brother, Augusto, and with DÃ©cio Pignatari, Mr. de Campos formed a group that sought to create a new form of expression by removing stereotypical traces of Brazilian culture from their work. This summer, the 29-year-old was eager to receive medical and security clearance so she could travel to Baghdad for a four-week assignment in the U.N.'s press office. Al Farra, an editor for the U.N.'s Arabic news unit in New York, died on her first day on the job Tuesday when a truck bomb exploded outside the U.N.'s headquarters in Iraq, killing at least 23 people. When Martha Teas Meiklejohn was a little girl growing up in Mason City, she wanted to be a poet. "She could walk on the rim of a volcano reading poetry and never know she was in trouble," said Dorothy Teas of Mason City. Meiklejohn, 47, worked for the United Nations and was killed Tuesday in the suicide bombing of the U.N. headquarters building in Baghdad. In addition to pursuing his own military career, Jones-Huffman studied poetry and had hoped to become a professor of literature. He was a budding haiku poet, whose introspective chronologies of what he experienced in Iraq -- gaunt children selling bayonets, desperate women reaching for water, carcasses of burnt vehicles -- were shared online and published in the Heron's Nest, a monthly journal (www.theheronsnest.com). "Rumi is important to the world because he united east and the west. I feel that when terrorism is the problem to the world, this film will make people realise that it is important to understand each other's culture,'' Ali said. In addition, it may help to bring permanent peace rather than temporary one, because it expresses truth about the society without considering any boundaries. When literature opens eyes of the people who have been exploited in a society by showing the truth, the people may use force to get their rights back but permanent peace is restored after they get their rights back. The university stirred a hornet's nest by deleting Shakespeare and George Bernard Shaw from its revised syllabus and including translated works of part-time poet Prime Minister A B Vajpayee and controversial writer Salman Rushdie. His clearest swipe at the Bush administration comes in The Hearth, written on the eve of the Iraq war and published in The New Yorker magazine: "I stood in the wind in the raw cold/ wondering how those with power over us/ can effect such things, and by what/ cynical reasoning pardon themselves." Williams said The Hearth inspired a string of supportive e-mails and letters from readers, rejuvenating his belief in the power of poetry to express what he calls "the common soul." Fadhil Assultani: No, why should you ask that? It is a dream to have free speech and this is what we struggled for, for a very long time. There will not be any problem â€“ on the contrary, freedom of speech will enrich our experience, our culture, ourselves, especially in Iraqâ€™s multicultural society. Iraqi society will nurture a very rich culture in the future, which will even be able to enrich Arab cultures elsewhere, especially given what we have to offer of our Kurdish culture, religious culture, scientific culture. There is also a certain wariness of using art as a form of criticism -- at least until Iraqis are more certain what lies ahead. After a campus meeting last week to plan a fall drama festival, the organizer, 67-year-old poet Sadiq Sagh, who recently returned from a long exile in London to be an official adviser on culture, said he would probably not accept a play that was strongly critical of the U.S.-led administration or the new Iraqi authorities. "It's too early to think about who we're against," Sagh said as he strolled the academy grounds. Chirikure said: "This competition is also valuable in that it is not just meant to end at the stage of award presentation. I understand that all the winning entries will be compiled and published in book form. This is a noble idea, especially given the fact that in Zimbabwe we have a shortage of reading materials for children and young readers. Our young readers will easily identify with the publication since it will be a product of writers who are going through the same experiences with them." Fillingane is in the process of negotiating a contract with 1-800-FLOWERS that will pay him 25 cents for each bouquet that has one of his poems sent with it. At 6 million bouquets a year, that comes to a potential $1.5 million. While a poet laureate may seem a luxury in a time of deep budget cuts, the job has emotional importance to communities that want someone to put their fears and joy to words, Mullen said. "When we have events that we want to commemorate, that have significance for us, that cause us to have deep feelings, we often think about asking a poet to speak for all of us, to help distill these feelings we have, to place us in history, to kind of connect us, to help us look ahead, whether a tragic event or a celebratory event," she said.
" . . . The society did not want anybody who was imaginative to achieve anything. The only people who could achieve were those in power, and our job was to praise them. In a situation like that, you just find yourself picking up a pen and saying, â€˜To hell with this, I want to protestâ€™. " Edinburgh is planning an audacious bid to be named as the world's first official City of Literature. A team of leading literary and cultural figures is to ask Unesco, the United Nations' educational, scientific, and cultural organisation, to grant the first title of its kind. Yesterday, a professor of English claimed to have solved one of those conundrums. Philip Edwards, of the University of Liverpool, says he has identified the actual location in Monmouthshire that lay behind one of Eliot's most elusive shorter lyrics. The 11 lines of "Usk", written after a Welsh holiday in the mid-1930s, advises seekers after religious truth not to "hope to find / The white hart over the white well". It was Ezra Pound who advised Merwin to "read the seeds, not the twigs of poetry," and Merwin studied the Troubadours to learn about poetry from its source, in a language older than French. This is because all humans are drawn to expression, and it's time to once again make expression a priority in our lives. "The people fancy they hate poetry, and they are all poets and mystics," Emerson says. 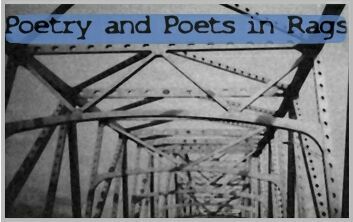 Find poetry in the lowest, the highest and all the gray in between -- if you are a preacher, teacher, busboy or barista. "The poorest experience is rich enough for all the purposes of expressing thought," Emerson notes. It is not hard to see why this manuscript from an unknown 25-year-old South African should have impressed Faber's then editor, T S Eliot. The poems fuse an extraordinary literary sophistication with an elusive, subtle lyricism and oblique, ever-shifting angles of vision. And on your fresh green breast lay my black head." She also paints what she sees when scanning the scene at such places as Monhegan Island, off the coast of Maine. She writes poetry in the mornings, usually before hiking or biking. Sometimes she writes while on her adventures in nature, she said. "I can't really say why I write poetry instead of paint," she said. But by doing both, she uses both sides of her brain, she added. The State Department said it was particularly concerned for Cuba's best known dissident, poet and journalist Raul Rivero Castaneda, 57, and economist Oscar Espinosa Chepe, 62, because their health had worsened since they were jailed in a crackdown on opponents of President Fidel Castro. This tiny front-yard garden is different in one way. It grows words. Against the sidewalk in greenery and flowers stands a 3-foot stick with a plastic-protected sign that says, "Take a Poem/Make a Poem" and "Welcome to the Salmon Street Poetry Garden." Sources close to Mbuli say he was whisked from the Leeuwkop prison in a German sedan driven by record company EMI's business executive Leslie Sedibe. It was an emotional moment for Mbuli when he entered the home he last saw six years ago on the morning of October 28, 1997, the day he was arrested. After a hot bath and changing into new clothes, Mbuli was taken to the EMI studios in Steeledale where he was thrown a mini birthday party. In the next book of original poems, Lowell took on a spokesman's role from which he never retreated. Many of the poems in For the Union Dead (1964) address historical, political and cultural issues in a manner that characteristically blends the intensely personal with the civic. The book concludes with the title poem that ends with this indictment of a diminished society: "Everywhere,/giant finned cars nose forward like fish;/a savage servility/slides by on grease." from GoMemphis: Robert Lowell, unquestioned giant of 20th Century verse, leaves this ungainly burden - are we worthy? Anticipating his arrival, Hardwick was leaning out the window when a taxi pulled up in front of the apartment building. The building's elevator man opened the taxi door, peered inside, and yelled up to Hardwick, "Mr. Lowell is inside but he's not moving." Ahmed Zaoui is blindfolded and hanging by his hands from the ceiling. It is 1985. In the Algerian prison, authorities take a mop and squeeze dirty water into his mouth until his stomach bloats and he loses consciousness. Tagore: This world is a human world -- the scientific view of it is also that of the scientific man. Therefore, the world apart from us does not exist; it is a relative world, depending for its reality upon our consciousness. Einstein: Truth, or beauty, is not independent of man. Einstein: I agree with regard to this conception of beauty, but not with regard to truth. Einstein asserted, "I cannot prove, but I believe in the Pythagorean argument, that the truth is independent of human beings". Tagore: In any case, if there be any truth unrelated to humanity, then for us it is absolutely non-exiting. Einstein: Then I am more religious than you are. But what about lyric poetry that is narrated as fiction? Then, do we read to go further into ourselves or do we read to go outside ourselves into the fictional drama? It's a question about the nature of poetic invocation, as well as our own expectations about reading poetry, because even in a fictionally narrative poem, we're still clearly inside a poem, with the attendant reassuring imperatives of poetry -- strong lines, swift metaphor, music, strangeness and surprise. Finally, as we prepared to leave, Dannie spotted a book missing from his Dylan Thomas collection and decided to buy it. As I waited for him to return, I saw a visiting Dutch tourist surreptitiously scratching a paint chip from the original doors to Thomas's writing shed. Once he'd jimmied it free, he carefully slipped his prize into his wallet as if it were a lock of a lover's hair. He tried to commit suicide twice. In 1995, police searched his home, confiscated his writings, and held him under house arrest for 20 days. In 1998, he was arrested for compiling The Underground Poems of the Seventies in China. In December 2002, Liao was detained again after he posted his writings on the Internet and signed a petition to the 16th Communist Party Congress which ushered in a new Chinese leadership. Some of modern Russia's greatest writers and poets still live and work in Peredelkino, although their future in the colony now seems as bleak as a Russian winter. Private developers and ultra-rich Russians have drawn a bead on the tiny community. Suddenly, small wedges of land here are going for a half-million dollars, even as the average Russian earns $5 a day.